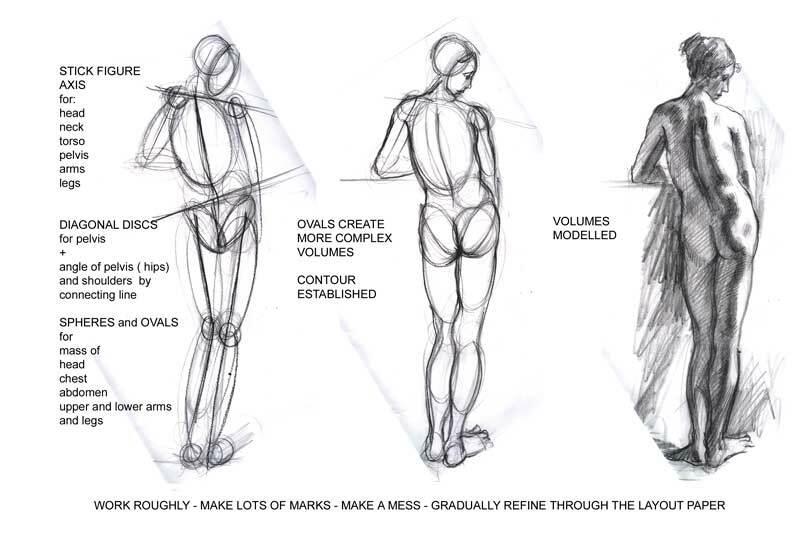 The copy drawing of a figure will have led you to understand that rounded volumes can construct forms quickly. 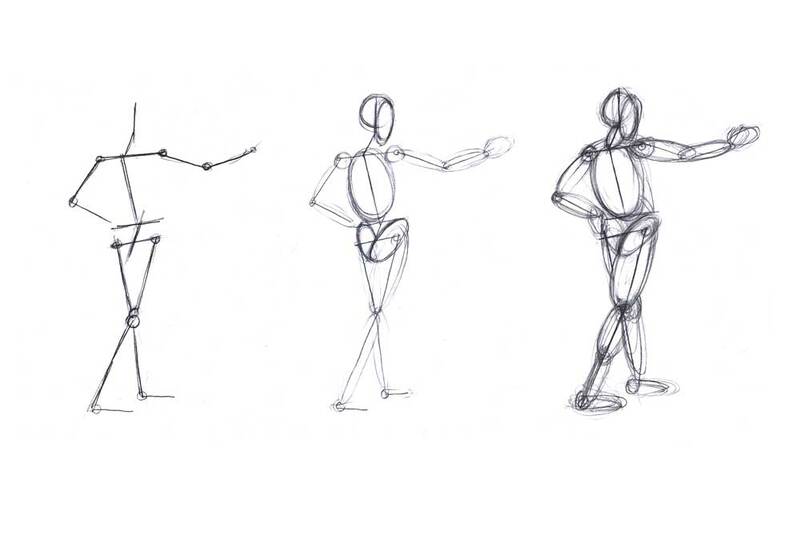 This exercise relies on building a framework first and then filling it out with rounded forms. This is close to the way a sculptor might work, creating an armature and adding clay to it. It is a way of ‘modelling’ forms. 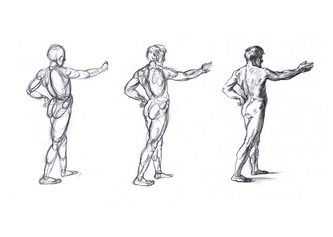 The Raphael drawing above shows the stages. 2. Think of each of the main masses of the body as having an axis, a central or middle core, which gives them a sense of direction and orientation.Imagine a wire at the centre of each of these sections. 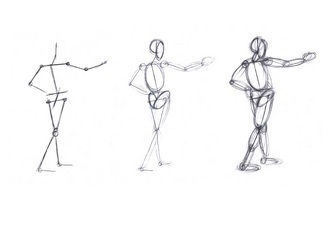 Create a stick figure version of the pose. 4. 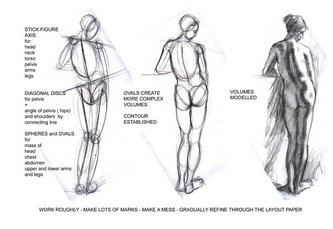 Draw as you look, rapidly creating volumes that you add to and refine as the drawing develops. 5. 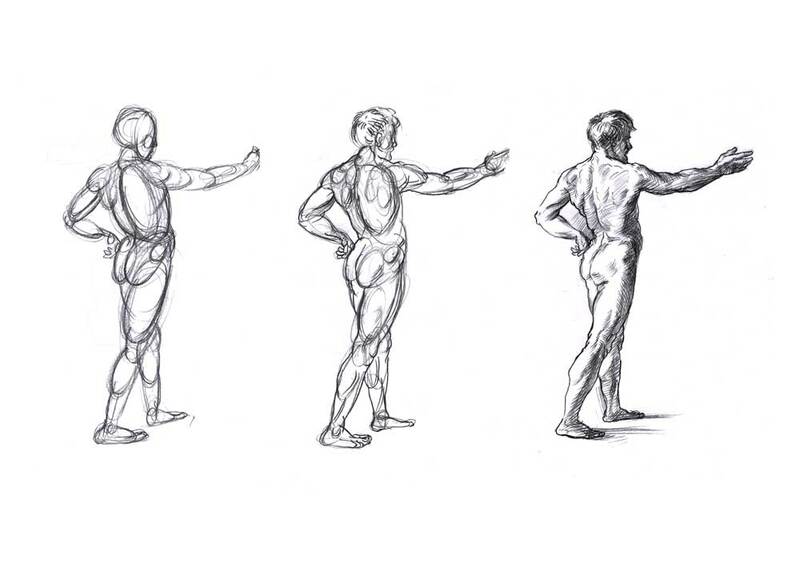 Always return to 'feeling the form' when the drawing gets stuck - try to project your sense of touch. Imagine wrapping the volume in line, as you did with some of the kitchen objects. 6. You might want to place layout paper over the top of this energetic scribble and select some contour lines to follow the rhythms suggested by your ovals. (Many Renaissance drawings were started with a very open free charcoal drawing which would be inked over and then removed using bread as an erasure).